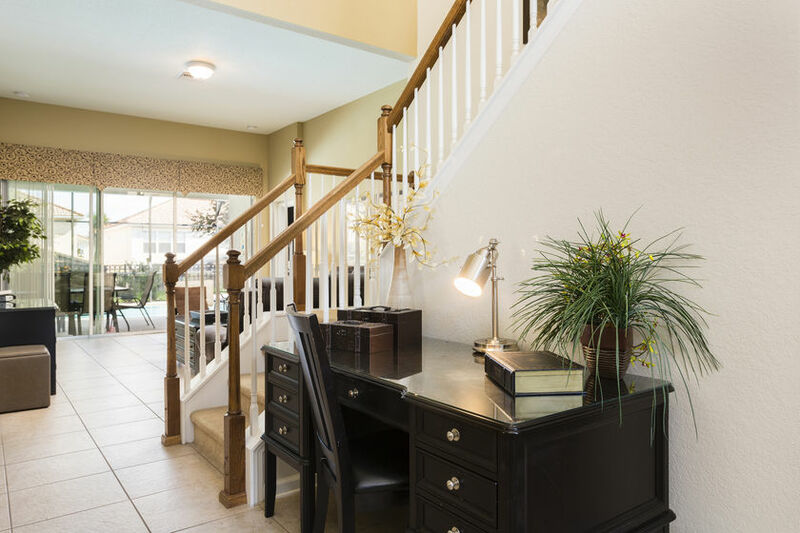 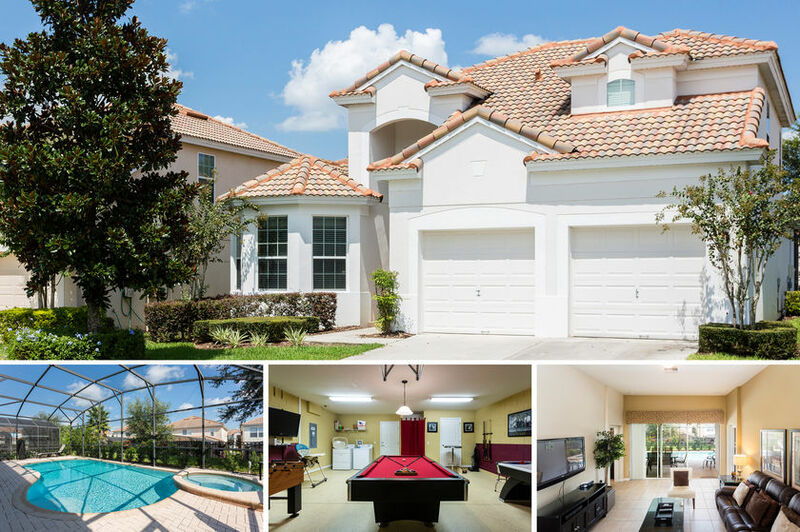 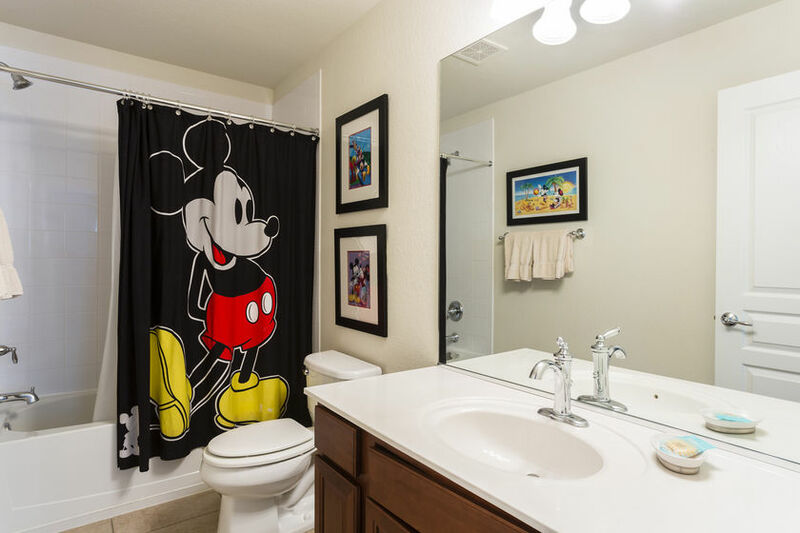 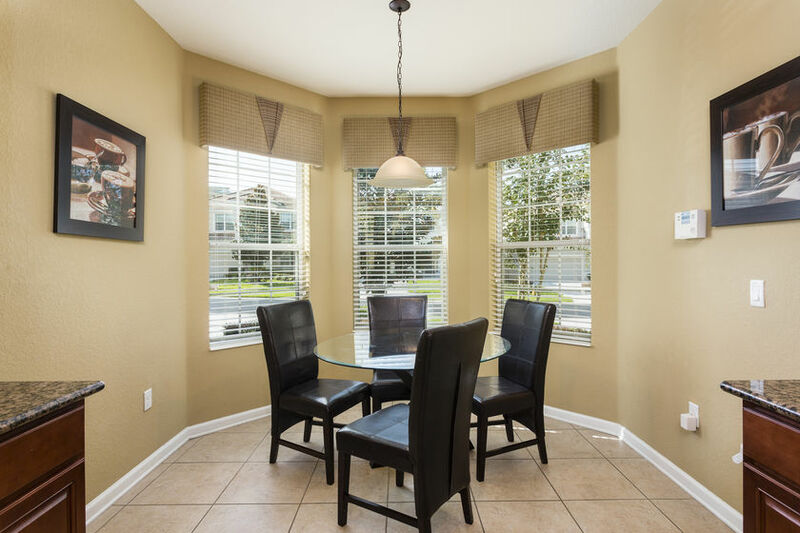 This hidden 5 bedroom, 5 bath gem is located just 2 miles to the gates of Disney, and just minutes from the heart of the area attractions. 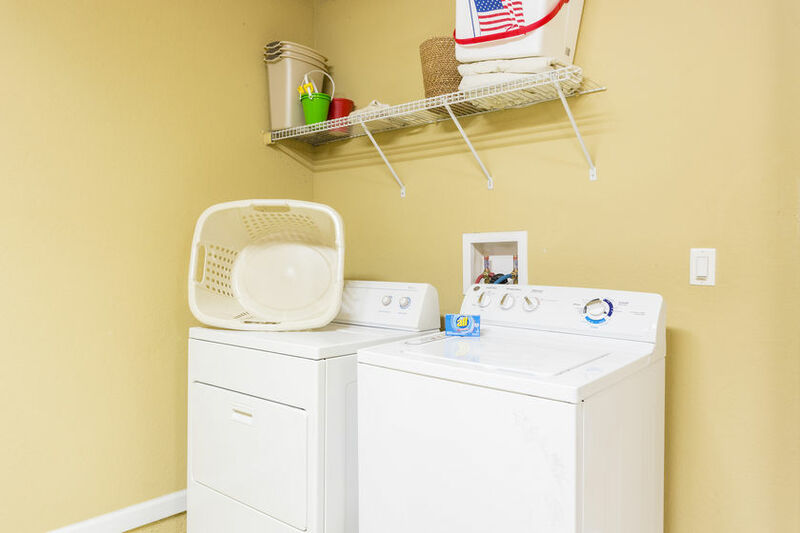 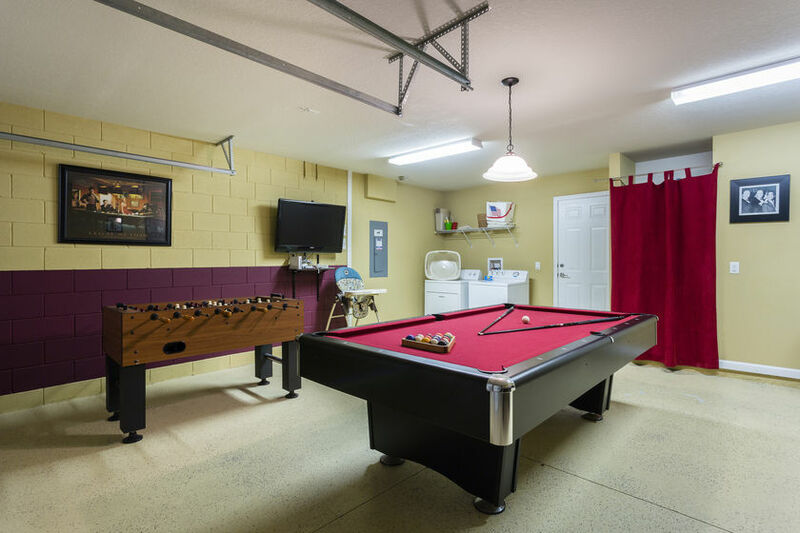 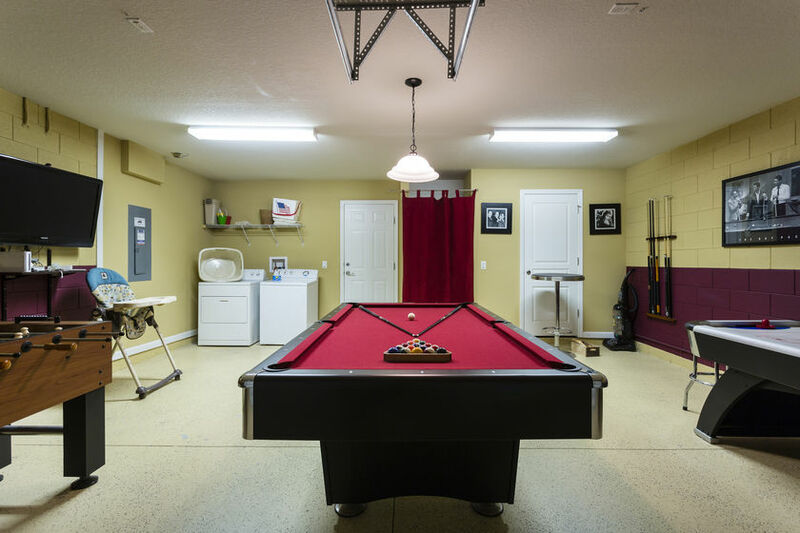 Convenience is key as the resort houses a large community pool, full-size tennis courts, basketball courts, and even a sundries shop for those little odds and ends. 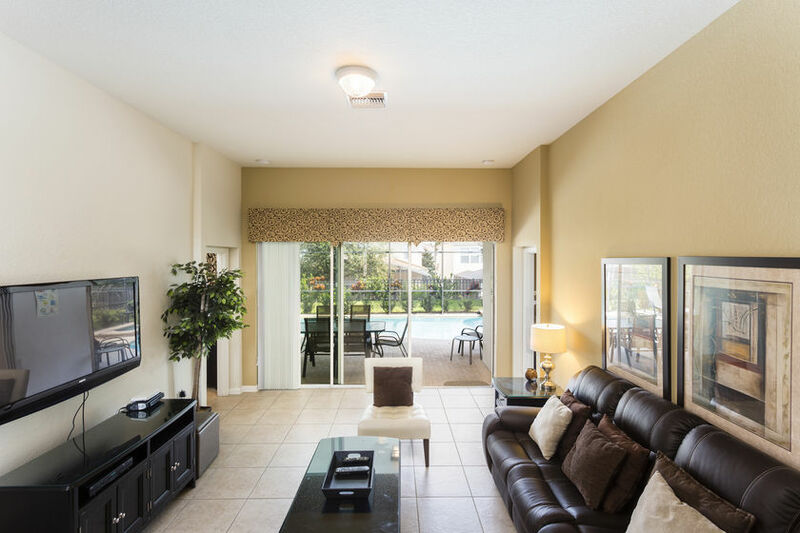 Pull into the driveway, unload your car just steps from the front door, and enter into the vacation your family deserves. 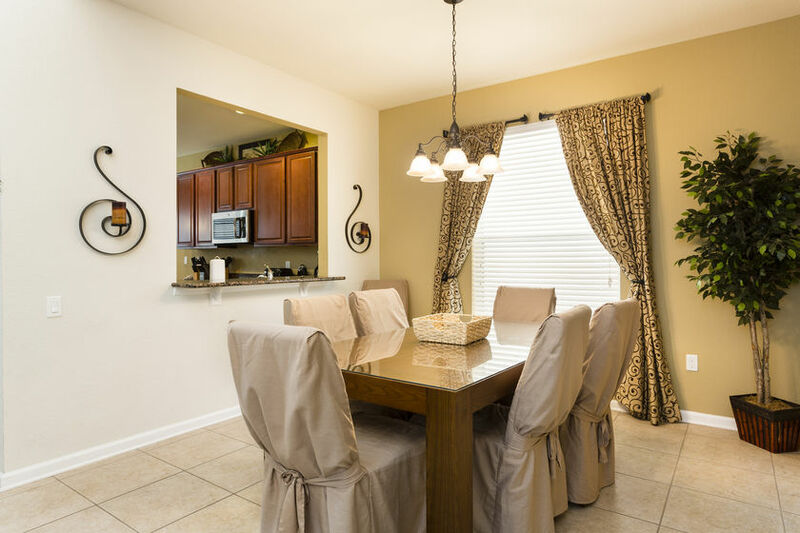 This home was furnished with comfort, and touches of luxury throughout. 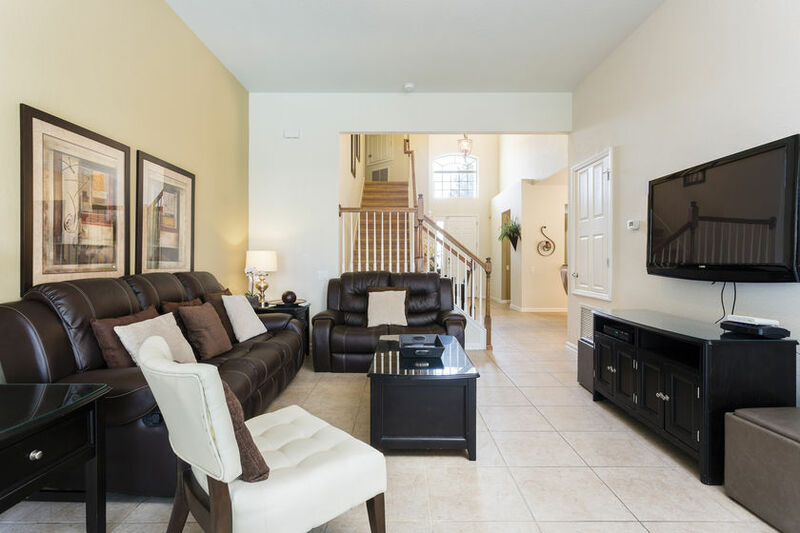 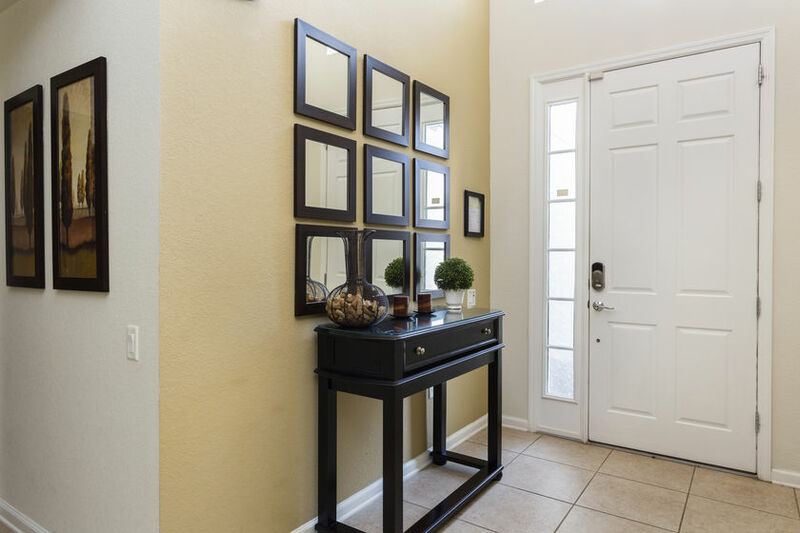 When you step inside you will be lead back to your large living area furnished with plush leather sofas surrounding the large flat screen TV with Xbox and Wii gaming consoles. 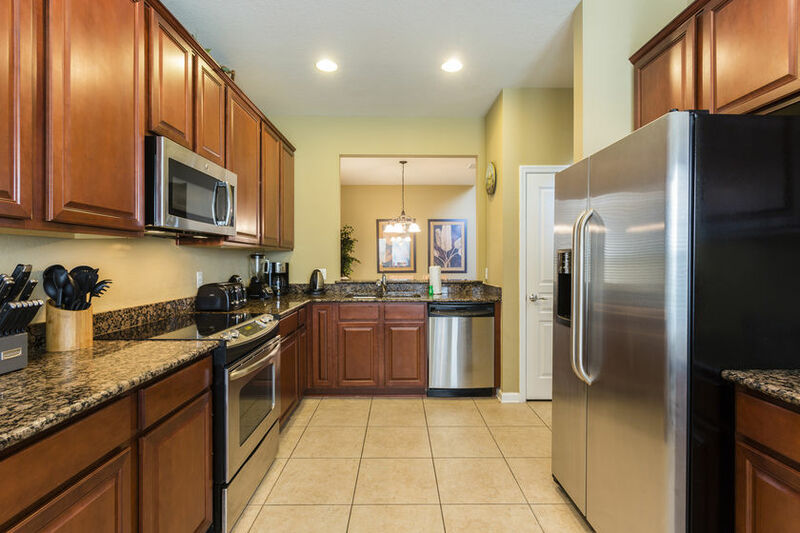 Just off the living area, you will find you fully equipped kitchen allowing to prepare meals for the family, or for light snacks on the go. 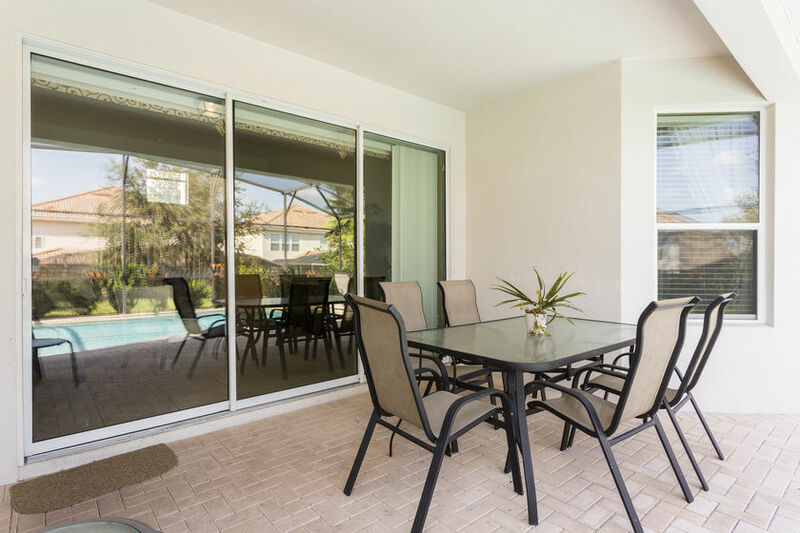 A set of sliding glass doors takes you out to your own private screened in pool with spill over spa. 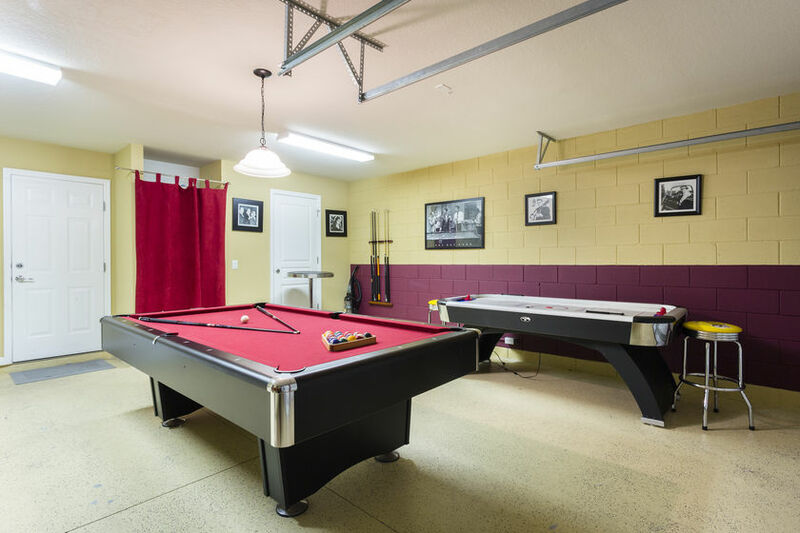 There is an outside covered dining area where you can relax and have drinks by the pool whilst the kids play, or lay out on the sun loungers and soak up the warm Florida sun. 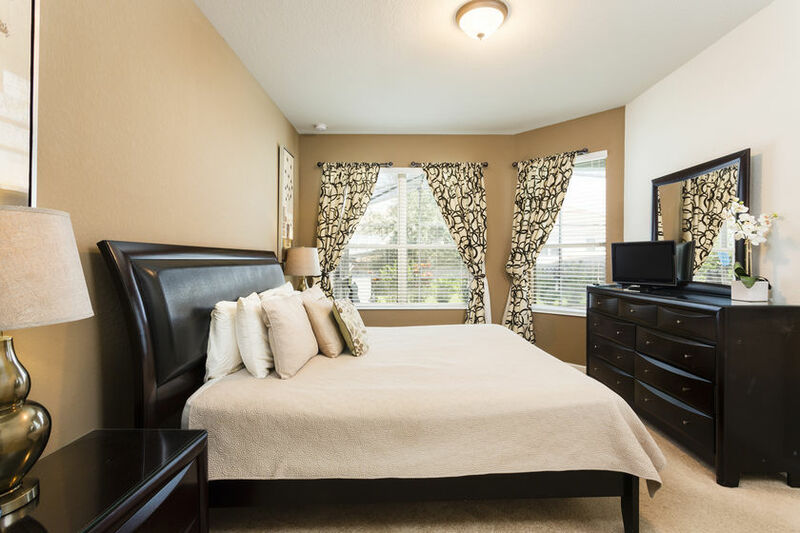 Sleeping arrangements are perfect for families that are looking to stay together. 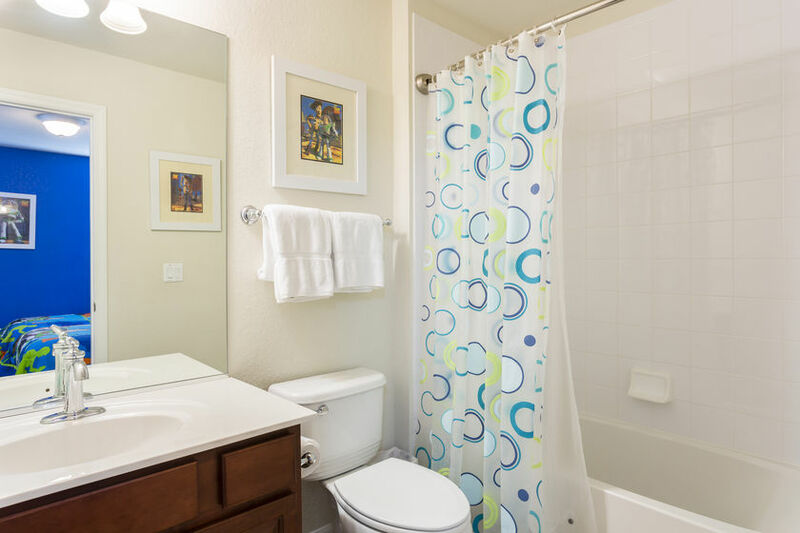 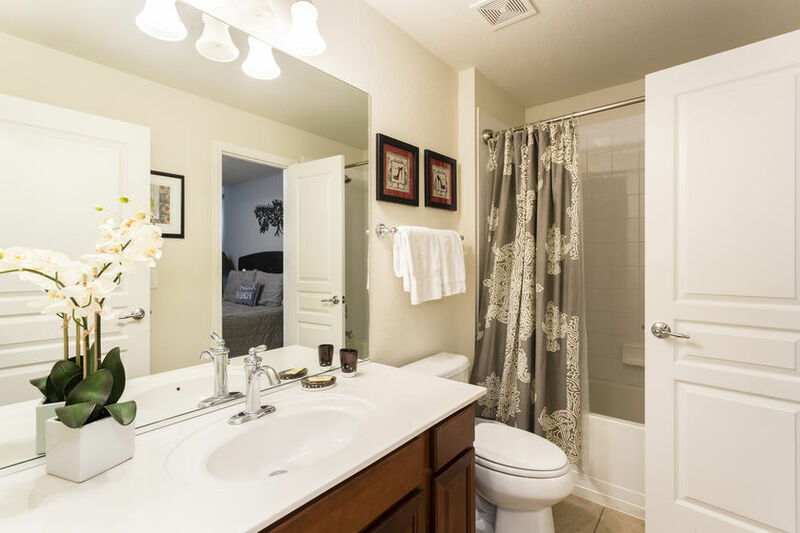 The home has two master bedrooms both with flat screen cable TVs', and private en-suite baths. 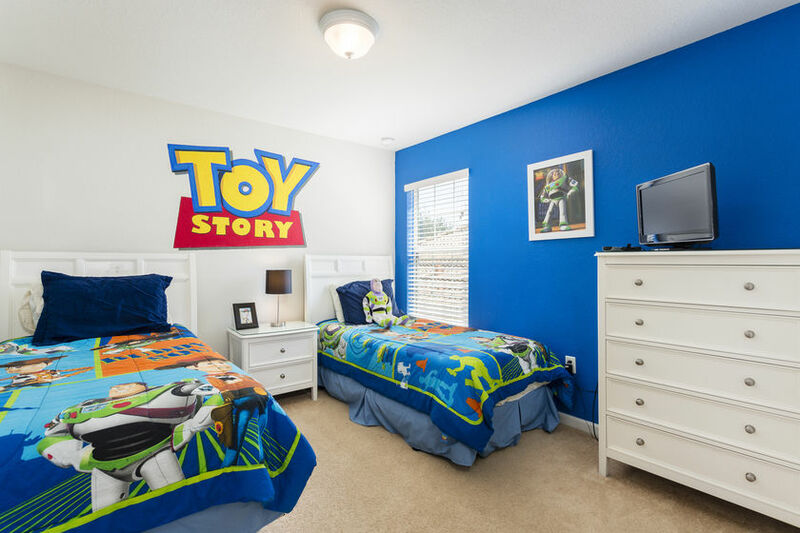 Themed rooms allow for kids to get lost in their imaginations as they take flight with Woody and Buzz in the Toy Story room, or escape in Minnie and Mickey's hide-away. 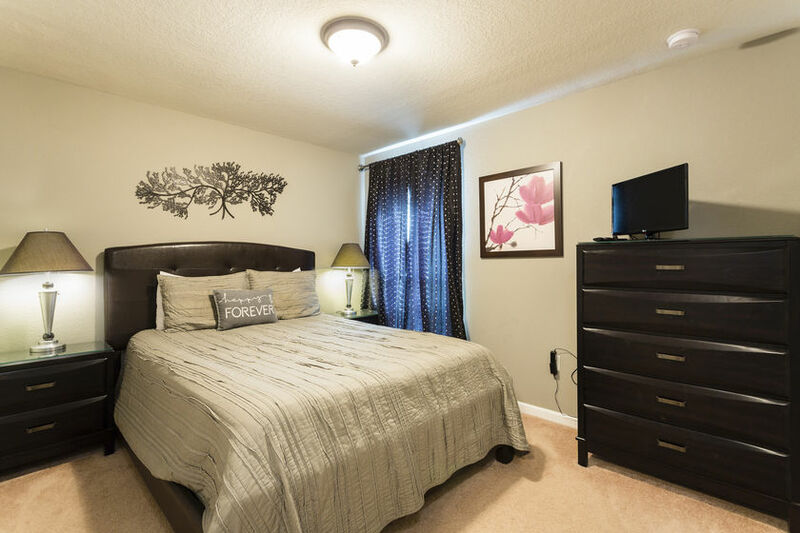 Both rooms have two twin size beds with flat screen TV and DVD players. 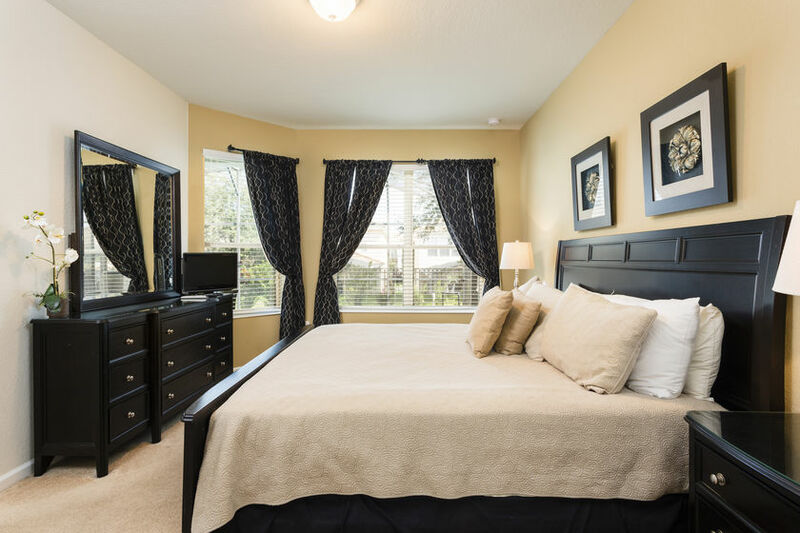 There is also a queen size bedroom complete with flat screen tv and private en-suite.